BATAVIA, Ohio (Dec. 8, 2017) — Clermont Common Pleas Court Judge Richard Ferenc has been elected as the administrative judge of the General Division of the Clermont County Common Pleas Court for 2018. The administrative judge has full responsibility and control over the administration, docket, and calendar of the court. Judge Ferenc is responsible to the Chief Justice of the Supreme Court of Ohio in the discharge of the administrative judge’s duties, for the court’s adherence to the Ohio Rules of Superintendence, and for the termination of all cases in the court without undue delay. 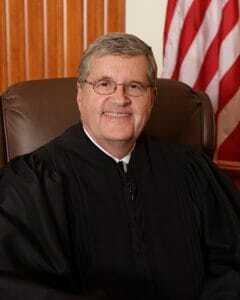 Judge Ferenc was first elected to Clermont County Common Pleas Court in 2010. Common Pleas Court Judge Jerry McBride has been elected presiding judge for 2018, by judges from all divisions of the Clermont County Common Pleas Court system. As presiding judge, Judge McBride conducts an annual judicial meeting, and other meetings, if necessary, to discuss and resolve administrative issues common to all divisions of the court. He may also assign judges, on a temporary basis, to serve in another division of the court if required. Judge McBride also has the authority to appoint members to the Public Defenders Commission, Veterans Service Commission, the Law Library Resource Board, the Clermont Metropolitan Housing Authority Board, and the Facility Governing Board for the Multi-County Community Correctional Center. 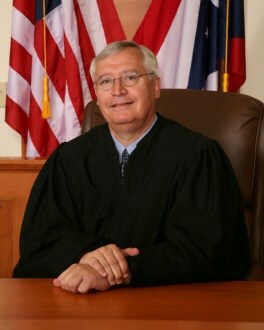 Judge McBride was first elected to Clermont County Common Pleas Court in 1994.